The advanced technology results in benefits and programs that can do things never dreamed of before. But with this comes new threats as well. Viruses are more sophisticated than ever and can cause much more damage than ever before. Identities can be stolen, bank accounts wiped out, computers can be compromised and crashed, important data can be deleted and much more. This is why it is extremely important to have internet monitoring applications. And what could be better than free internet monitoring apps? ZoneAlarm has long been one of the best firewall programs around but did you know they also have a pretty decent antivirus feature? While they certainly don’t have the top antivirus, the firewall capabilities are practically unbeatable, giving you complete control over every program, and even components, that try to access the internet without permission. The antivirus is good, but it is basic. It provides daily updating instead of hourly updating but the interface is simple and easy to use. If you’re looking for decent antivirus protection alongside one of the best firewall apps out there, Zone Alarm is a definite contender. Avast is one of the best antivirus programs out there and the fact that it’s free makes it that much more appealing. Avast gives you complete control over programs that are identified as threats which is an extremely useful feature, unlike other products such as McAfee which give you no control over threats. So if a program is falsely identified as a threat (which happens quite often) in Avast, you have the opportunity to label it as not a threat whereas in McAfee the program would be deleted or rendered unusable. Another great aspect of Avast is that it uses very little resources as it runs, unlike the major resource hogs such as Norton and McAfee. Avast also has a browser cleanup tool that allows users to remove unwanted browser add-ons that may have been unwittingly installed. Panda Antivirus is small, doesn’t consume much resources and provides good, basic antivirus protection. 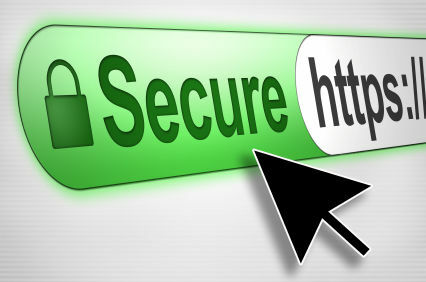 One great feature of Panda is that it can be used in conjunction with other security apps without any conflicts. The free version has the same antivirus as the pro version; the differences are that the pro version offers protection at public and unsecured wireless networks. It also offers USB flash drive protection as these drives can become infected with viruses or malware which can then be spread to all computers that the USB flash drive is plugged into. Malware is one of the leading causes of security breaches as it steals usernames and passwords and sends this information back to hackers. Malwarebytes offers the best malware protection around and can be used in addition to antivirus which gives users double protection as I have personally noticed Malwarebytes find threats that other antivirus apps missed. Avira Antivirus is another excellent antivirus app that ranks in the top 5. Avira was given an extremely high rating by independent labs for the rate of threat detection it offers. It continuously monitors the user’s computer, seeking out threats and eliminating them. It also offers the Avira Antivirus toolbar which offers more protection but it replaces your default search engine with Avira so I can’t recommend the toolbar until that option is changed. Because of the continuous running, it does use more resources than some of the others that we have mentioned here today but the control and features still make this one of the best internet monitoring apps around. There are many other antivirus apps and firewalls that you may find work better for your system, but if you’re in the market for a good internet monitoring app, and your budget is somewhere around “free,” these apps should be given consideration to see how they work on your machine or device. As technology advances and becomes more sophisticated, so will the threats that our computers and mobile devices will face. Malware can be unwittingly downloaded and viruses can be picked up on seemingly legit websites. Protect your data by utilizing one of the top 5 free internet monitoring apps for Windows 8 PC and don’t leave it to chance. About the author: This is a guest post by D. Blackthorn, a member of Stop-DDoS.net – affordable DDoS protection service for eCommerce websites. Related to "Top 5 Free Internet Monitoring Apps for Windows 8 PC"